With a lead singer as versatile as Highasakite‘s Ingrid Helene Håvik, it’s not difficult for the band to evoke landscapes as diverse as a country road, a spacey sky, or a western plain. On their debut full-length album, Silent Treatment, the Norwegian musicians pioneer the “adventurous brand of indie pop” they’ve introduced on earlier recordings, emphasizing unusual vocals effects and genre contrasts. Having unbelievable clarity and the ability to turn on a dime, Håvik’s voice carries a lot of power on Highasakite’s debut LP. The first lyrics of the album’s opening track, “Lover, Where Do You Live?”, emerge out of the emptiness suddenly and intensely, against a nearly a cappella backdrop. This pattern sets the tone for the rest of the album, with vocals so solid and controlled you feel as if you could graph their progression visually. Meanwhile, complex instrumentation evolves over the course of each track, varying in degrees of intensity with a wide range of effects. Hollow horns, finely tuned upper register guitar parts, shimmering synths, and big indie drumming create alternatingly dense and sparse instrumental sections through which Highasakite transitions seamlessly. The diverse effects of Silent Treatment‘s vocals and instrumentation allow for an interestingly vague evocation of time and place. Some tracks feature more bare, ethereal, and futuristic soundscapes — like “I, The Hand Grenade”, with its warbling vocals, acoustic piano, and echoing synths and percussion, or “Hiroshima”, with its digitized backing instrumentation, rattling electronic percussion, and minimalist vocals. Other tracks, however, such as “Lover, Where Do You Live?” and “Darth Vader”, feature big walls of sound from the Norwegian quintet, with close-knit layers of both acoustic and electronic parts that swell to meet and support Håvik’s momentous voice. All the while, that same voice transitions without hesitation from the realm of country folk, to indie pop, to international music, as a result of Håvik’s amazing vocal control. Silent Treatment, moreover, presents various physical locations and destinations vocally, musically, and lyrically throughout — in Håvik’s Middle Eastern-sounding vocal approach to “The Man on the Ferry”, the use of sitar on “Darth Vader”, and multiple lyrical references to countries and ethnicities on tracks like “Iran” and “Hiroshima”. These international references, as well as the album’s musical contrasts between various genres and musical terrains, allow Silent Treatment to float freely apart from a definite time, space, or genre. There are drawbacks, however, to evoking this kind of timelessness and placelessness — though they are mostly made up for by the catchiness and accessibility of Silent Treatment and, hopefully, future experimentation on subsequent albums. Combining genres as diverse as electronic indie pop and country Western music is bold and interesting, but I found myself wondering, amidst the album’s indefinite occupation of time and space, what Håvik was singing about and what she was encouraging me to feel. As the album progressed, I found it difficult to find a strong narrative thread to hold on to in its lyrics, which were a bit emotionally nonspecific, especially given the prominence of Silent Treatment’s vocals melodies. By the end of Silent Treatment, while I had been certainly engaged by the LP’s diverse sounds and exceptional singing, I was unsure of where I had been taken and for what purpose. With even more instrumental experimentation — taking what the band has already experimented with on this LP to new levels of fun, funkiness, and weirdness — I might not have thought twice about the album not having a overt “message”, but with a voice as physically close to the listener as Håvik’s, I found myself craving more emotional openness and honesty, content-wise. 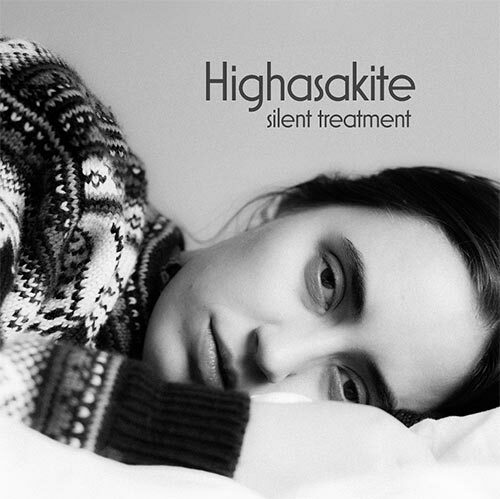 Perhaps there is room for this on a subsequent album, as Highasakite continues to evolve as a band. But for Silent Treatment, one can certainly find melodies and genre contrasts interesting and engaging enough to warrant due attention.